Every great story has a beginning. Simbisa Brands’ story began when the inaugural Chicken Inn outlet opened in Harare, Zimbabwe in 1987. Its focus was on using the freshest, locally sourced ingredients to produce a delicious and a?ordable menu. The renowned fried chicken pieces, fried chicken burgers, fresh rotisserie chicken, spicy chicken wings and the famous hand cut chips that are made daily in our Chicken Inn outlets are the reasons why this brand has grown exponentially over the years. That same focus continues today in every outlet across Africa, making Chicken Inn one of the most recognisable brands on the continent. Chicken Inn’s commitment to providing their customers the guaranteed distinctive taste synonymous with the brand is the key to our success. The popular 2-Piecer stands alone as the “meal of the people.” As one of our top sellers, this delectable option satis?es thousands of on-the-go consumers daily. We are renowned for serving tasty fried chicken pieces and a wide range of other menu items including hand-cut chips made fresh daily, chicken burgers, slow roasted rotisserie chicken, beef burgers , Spicy Wingz, Chicken Bites and other pocket friendly meals. The design and layout of Chicken Inn outlets is inviting and colorful, appealing to the whole family. The brand also incorporates into its menu, fun meals for the kids at pocket friendly prices. Twenty-nine years on, Chicken Inn continues to offer value for money with a broad and diverse menu that not only appeals to the individual, but also to the family as a whole. Chicken Inn ensures that only the best A-grade chicken and premium spices are used to provide the uniquely flavored, quality fried chicken that has made them famous. The proudly Zimbabwean franchise boasts 86 outlets across Africa, including Kenya, Zambia, Ghana, Malawi and DRC. 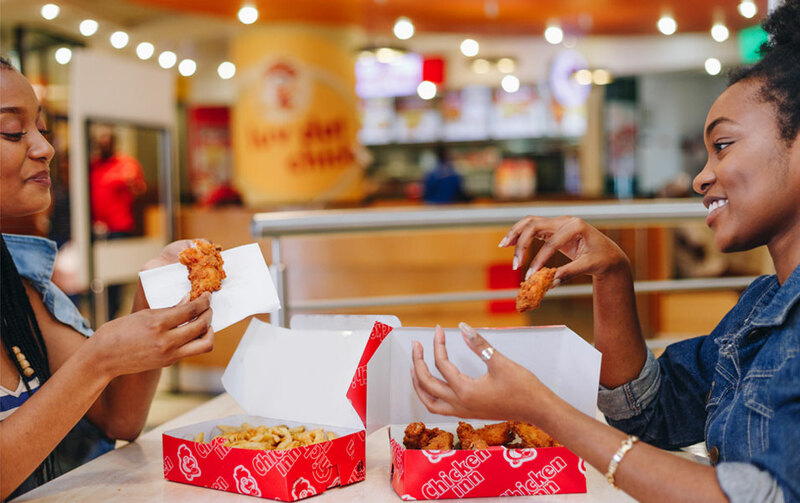 Three decades later, Chicken Inn continues to offer value for money with a broad- spectrum menu that appeals to individuals as well as families. We have convenient drive-through services in multiple locations in Africa. Only the best A-grade chicken and premium spices are used to ensure the quality taste that the brand is famous for.